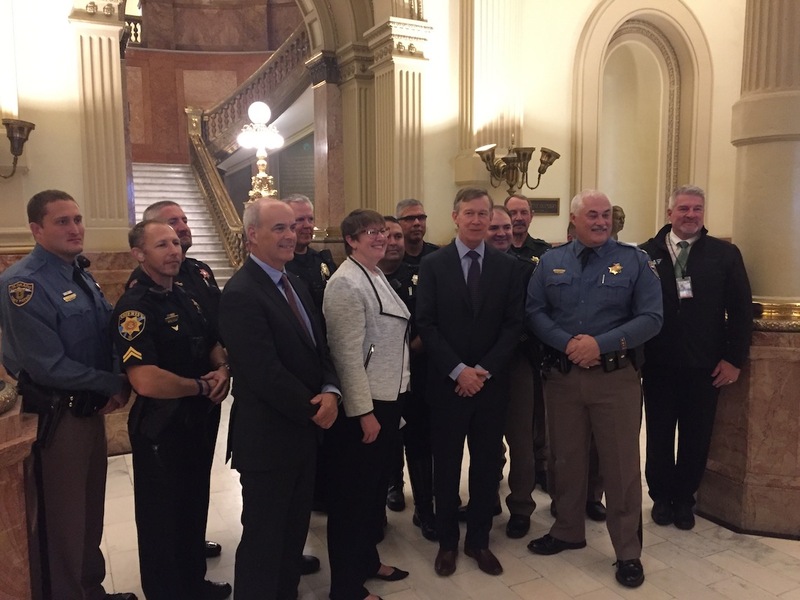 The National Highway Traffic Safety Association (NHTSA), Colorado Department of Transportation (CDOT), Colorado State Patrol and Colorado Task Force on Drunk and Impaired Driving recently held a press conference at the state capitol to announce NHTSA’s new impaired driving campaign, If You Feel Different, You Drive Different. The message is simple — if you’ve consumed any impairing substance, no matter the amount, don’t risk your safety by getting behind the wheel. As CIG prepares to launch CDOT’s own marijuana-impaired driving campaign, it was a great opportunity to learn about education efforts at the national level and to see how Colorado continues to lead the country in marijuana-impaired driving education. Gov. John Hickenlooper stands with representatives from CDOT, CSP and NHTSA to announce the launch of the If You Feel Different, You Drive Different ad campaign.